I have never really had a green thumb until I discovered succulents. It seemed that any plant I tried to care for, lived a very short life. On the other hand, with succulents I am able to grow and grow them, and even create new plants with the cuttings. Because of my success with them I like to give them as gifts, use them as centerpieces, and make mini gardens with them. 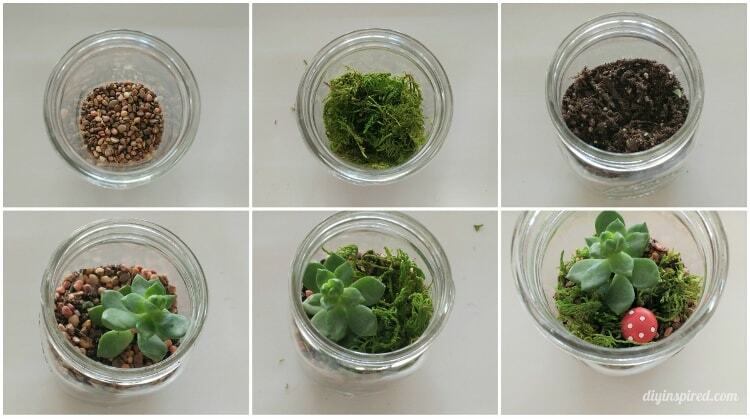 So today, I am sharing how to make a DIY Mason jar terrarium with succulents. First, create a reservoir for water by placing small pebbles at the bottom of the jar. Next, place moss on top of the pebbles. This will help with drainage and help prevent over watering. On top of the moss. Place some soil and then plant your succulent. If you are using trimmings only, add extra soil and burry the stem in the soil. If planting a succulent from a container, loosen the roots. 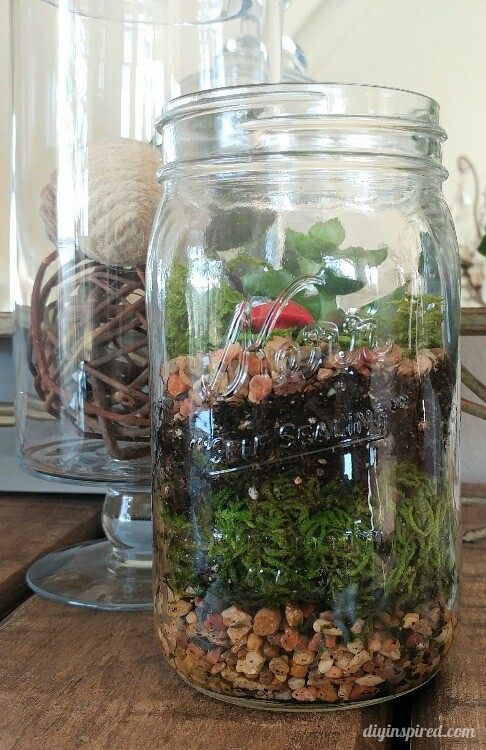 You may need to remove some of the soil to fit in the jar. Once it is planted, cover the soil around the plant with more pebbles and then if desired more moss on top of that for a finished look. 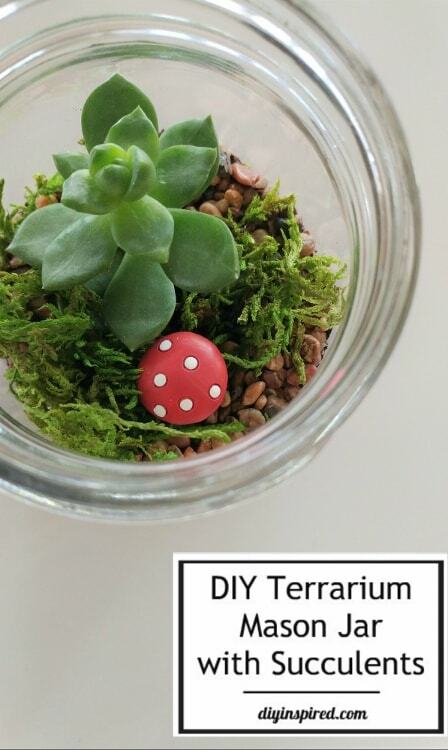 You can also decorate the terrarium with fairy garden embellishments. Water the plant. It does not need too much water; however, I tend to water more and less often. This method works for me. As far as sunlight, succulents need a lot of light. The thing about succulents is that they will let you know if there is too much sunlight or not enough. Simply move it and it will flourish as you care for it. Thanks, Cathy! I used a quart size.